Bejai hostel’s atrocious food has forced most first years to find refuge in small, cheap but good eateries close by. One such find is Chandu’s Chinese Fast Food. Located down the road from Bharath mall, beyond general stores, Chandu’s provides spicy and filing food, though the only thing Chinese about Chandu’s is the name. The triple chicken fried rice combines chicken gravy with chicken fried rice, topped with an omelet(hence triple chicken) and priced at Rs. 55, is probably the best deal. Chicken pepper and the Schezuan noodles are favorites among the regulars too. My favorite item on the menu is the chicken kebab-chicken deep fried in a chilly based batter ,which can give even KFC a run for its money! 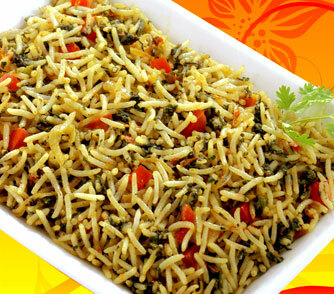 The decent quality and massive quantity of Chandu’s servings increase its popularity by the day. In fact the shop sells out almost everyday, thus the food served is freshly prepared everyday. However the kitchen (if you can call it that) is located outdoors and all the divine aromas attract many feline admirers, thus hypochondriacs beware. If cheap Indianized-Chinese is what you crave,then Chandu’s is the place to be. My second find in Bejai catered to my love for sea food. Maitri Restaurant, located near the KSRTC bus stand is what I think is Mangalore’s response to a diner. Cramped into a small room are rows of clean granite tables and stools with the menu sprawled over the wall ,and believe me, its one extensive menu. Starting from chicken sukka and mutton 65 to prawn pepper fry, crab chilly and innumerable number of fish preparations, you crave it, they’ve got it. With unlimited rice and fish curry at Re. 18 and everything else priced under Rs.50, Maitri Restaurant makes the Mangalorean food experience much more affordable. I would suggest you try the bondas(squid) pepper fry, crab chilly and the chicken sukka. Last ,but not the least,I’ll take a break from all the meat, for all the vegetarians out there. Anmol Restaurant is a vegetarian restaurant located bang next to Baliga general stores down the road from KMC Bejai. It’s built to satisfy all your Dosa needs. The vadas and the rava masala dosa are my favourites. Each day they also have a special dosa for the day such as mysore masala dosa etc. The MCD special dosa, a regular on their menu, is a rather disgusting amalgamation of oodles of cheese and a masala dosa, I suggest you stick to the basics. The North Indian food available here is surprisingly good especially the aloo parathas(Rs.25) and the vegetable biryani(Rs.50). For those who enjoy fine dining, Anmol also has an AC wing, though the prices there are slightly higher. The wide range of fruit juices are also worth a try. This is a Guest post by Rutajeet Chatterjee. He is a First year student at the Kasturba Medical College, Mangalore!